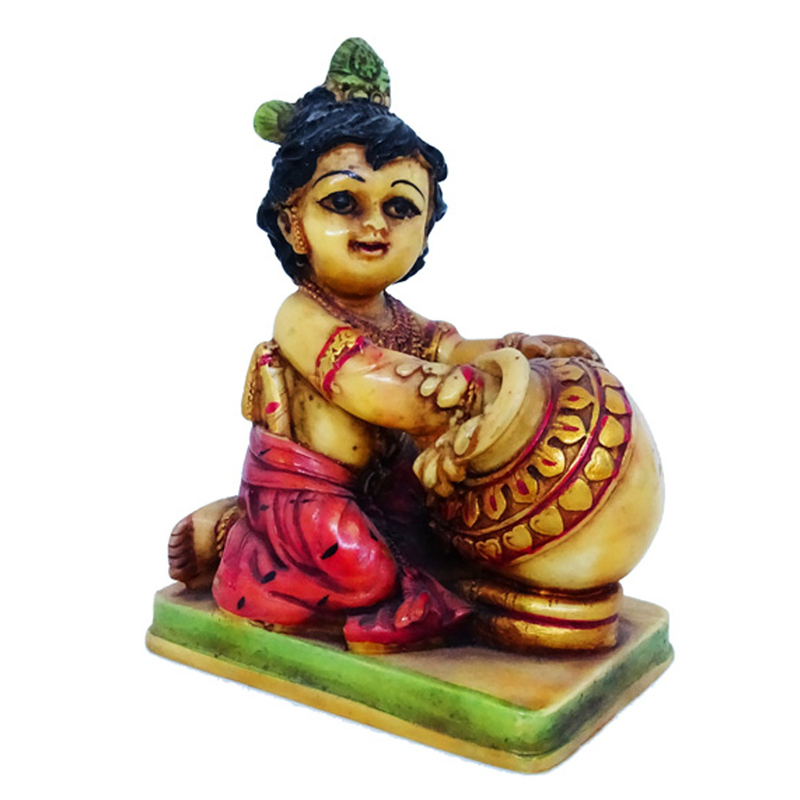 Let Little Kanha be there for you always. 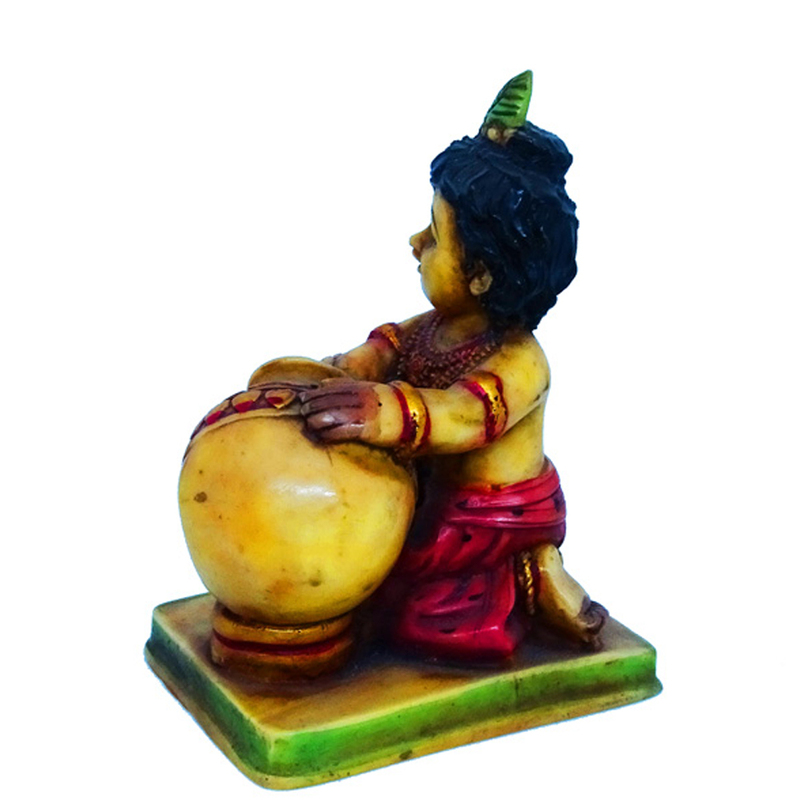 Let this little showpiece made of soft marble garland your holy space to bless you with prosperity. Read More..The idol is a cute resemblance of Kanha eating makhan from a designer container. This idol comes in a plastic box package and you can also give this as a present to others. Show Less..